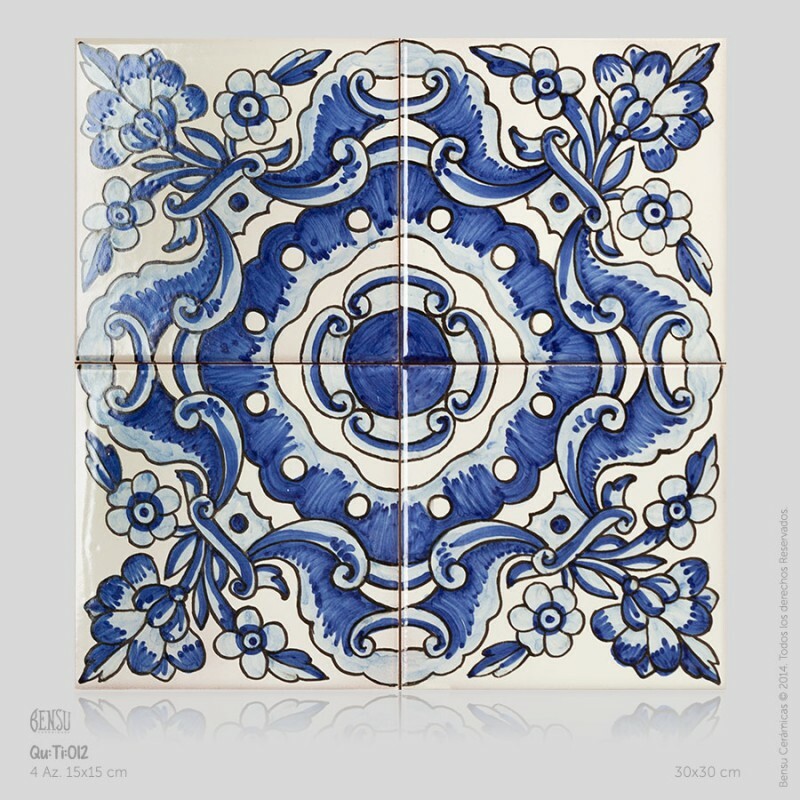 From Qu:Ti:003 till Qu:Ti:016, Photos of the same one tile design showing 4 tiles, two with colors and two in blue. They arelaid out in different ways, so you can see the patens they create. Repeated tiles are basedon classic design made in Spain during past centuries. They are one tile designs that when put together form a large, continuous paten. 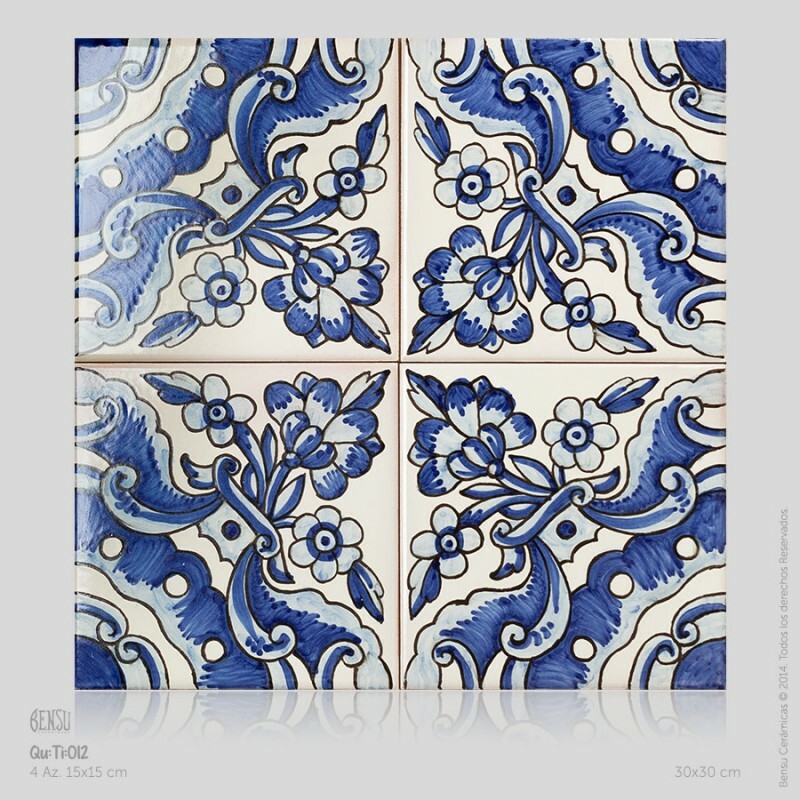 There are hundreds of designs, here we have eight but remember we can put the one you want onto tiles.